Home Consumer Affairs WHAT HAPPENED TO GOOD CUSTOMER SERVICE? Many of us remember the days when there was great customer service. When the customer were number one and companies respected their customers. Where did that all go? Now a days customers are far from number one. It is hard to get your money back from a store when the product does not fit or does not work. When you complain about a meal that was bad or less than what you expected the manger acts as if you said nothing(indirectly telling you your opinion does not count), and tells you is eatery has been running smoothly even before you were born. A former employee of Sear Telecatalog Center told me that when a customer would call in and ask for a supervisor they would mute the call and ask who wanted to play supervisor. When you are on the phone how do you know you are really talking to a supervisor? Many customer service representative refuse to provide their name when you complain about their lack of professionalism. If the representative was right or doing nothing wrong then why would they not give their name? one of the rampant behaviors of companies is that when you call to speak to the customer service, you can be put on hold for as long as 20min, you will be left with no choice but to put the phone on loudspeaker and wait until any one answer’s you. Many of companies refuse to make things right. When you tell then you are going to file a complaint with a few of the online complaint sites or with the Attorney General of your state they act as it is no big deal and still refuse to make it right. But once you file the complaint and the company gets their copy then they would be more than glad to fix it. But why do you have to go to all this trouble in order to get a company to do what is right when it should have been done in first place? One of case of which I had encountered bad customer service was when my cable network was unduly disconnected for no reason. I called their customer service and complained to them, I was told my subscription has either expired or I had done something wrong. After unnecessary argument, I was told to wait for a days, for something that could have been activated IMMEADIATELY. When I asked to speak to the supervisor, the attendant hung the phone on me. Good customer service is something about bringing back all your customers. It is also about sending the customers happy passing out positive response about your business together with the others. Now good customer service will encourage your prospective customers to try out any service or product and in turn become the repeat customers. Call centers these days should bring about good sales personnel so that they help your business to bloom. A call center will offer you the right approach to customer service that will help to determine whether you will be able to sell out your service or product. 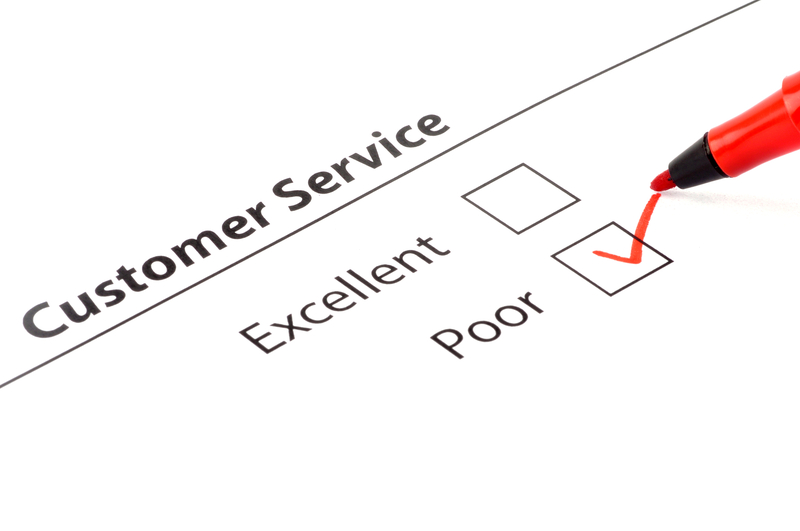 The heart of good customer service is to form a relationship with the customers. This is where the importance of the call center services lies. The following should be closely followed by a customer care center. A call center answering service form to be an important way to carrying forward your job of reaching your customers. Make sure that someone is there to pick up the phone calls and answer to all the calls. Hiring a call Center helps you reach out both existing and new customers. With the help of the well-trained and qualified professionals, businesses will be able to take appropriate responses in order to solve diverse business problems. Yes, this is one of the major functions of the call Center executives. They hear the complaints that the customers make and try to solve the problems each time. Such is the benefit of having hired customer service that you will be able to better position your own business and can reap the maximum advantages of having good customer care. This is what customer care agents are trained for. All representatives are trained to remain patient and composed hearing any angry customer. With patience, agents will be able to solve the situation. It may be that a customer is inquisitive about any service or product but may be using similar product from another company. If such a customer lands up to know about your service then it will be important to display what more he or she will get by selecting your product/service. Hence, this is the time when you need professional help and there can be no one like the customer service providers operating in the current market. As someone who has worked in a Sears store, I think Sears has some of the most aberrant customer service – because the management is bad. I think a lot of issues with how bad customer service is getting is when employees are treated badly, they don’t really care about customers. I’ve worked many customer oriented jobs and I love helping people. But when your management makes it completely impossible to be a good customer service rep, it pretty much becomes impossible to give a crap about the customers yelling at you for stuff you can’t control. I think customers need to write to higher ups. Yelling at staff is useless.